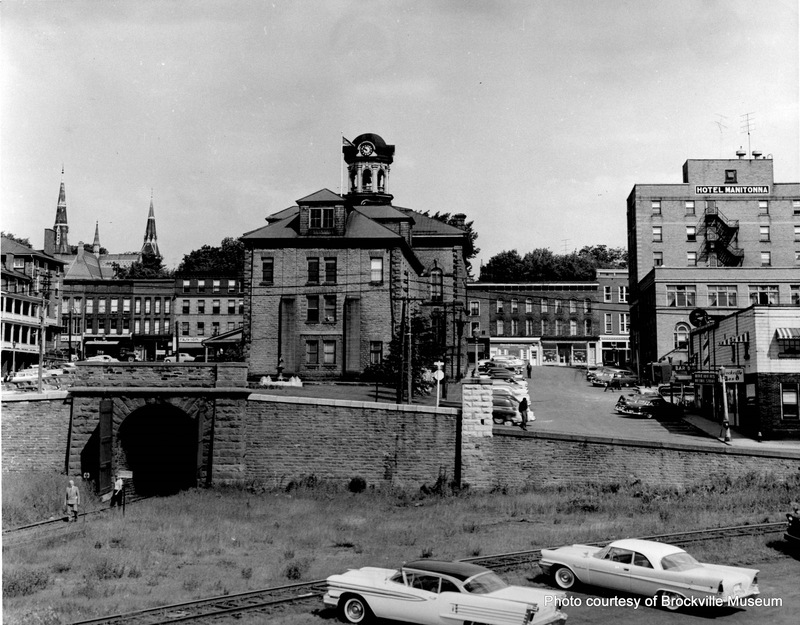 Designated for architectural and historical reasons. 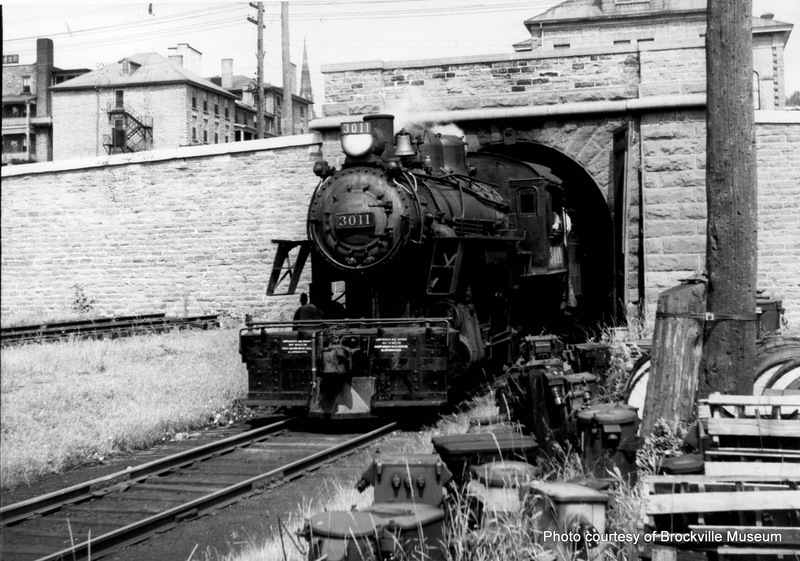 Started in 1854 and completed by 1860, it was Canada’s first railway tunnel. 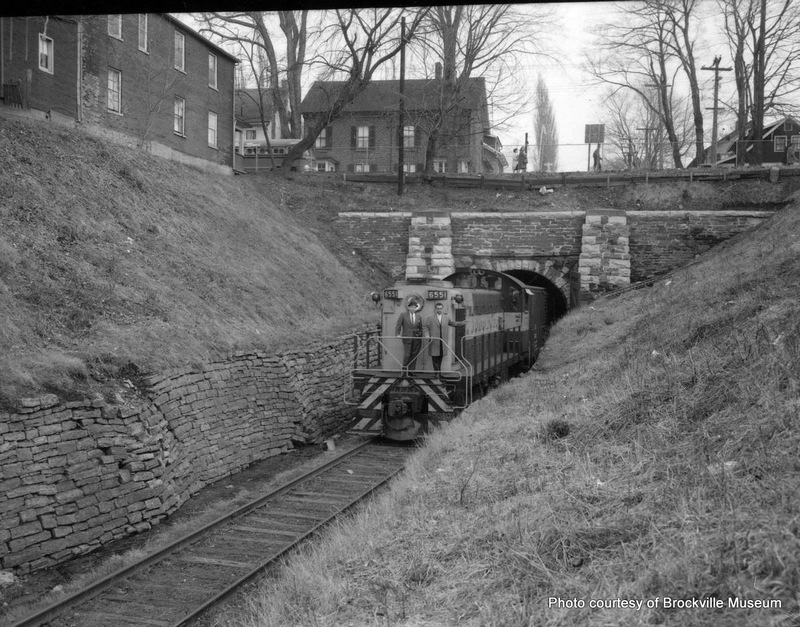 It formed a critical link in the Brockville and Ottawa Railway Co., and early railroad which was later absorbed by the CPR system. 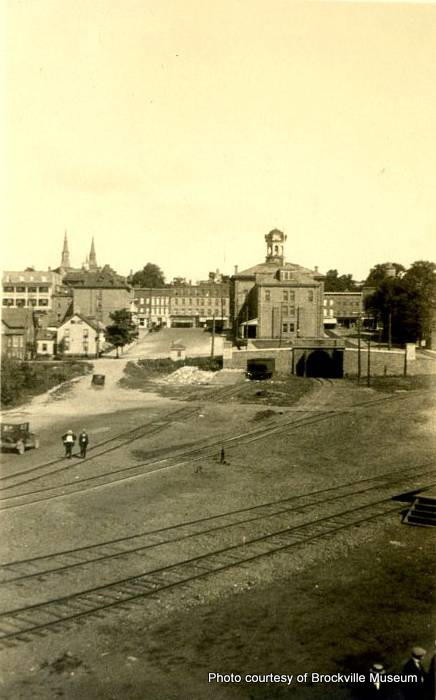 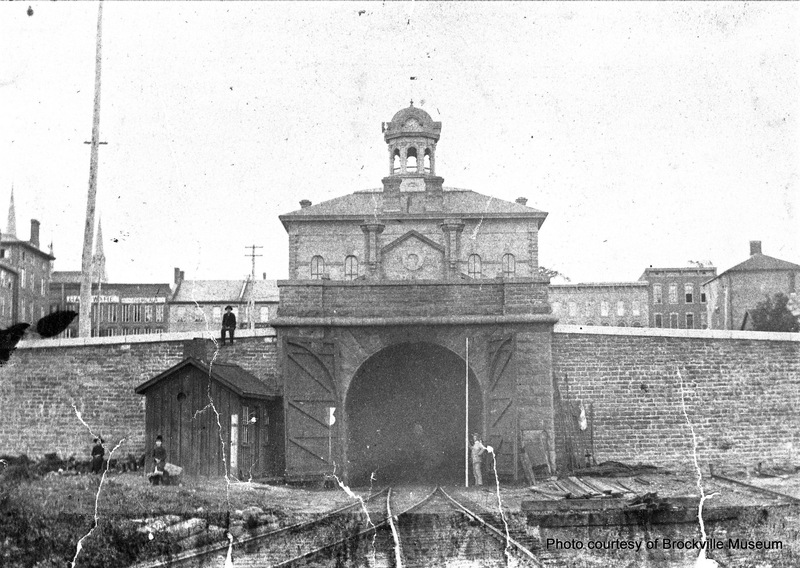 The construction of the tunnel had a great effect on the development of the Brockville waterfront both commercially and topographically. 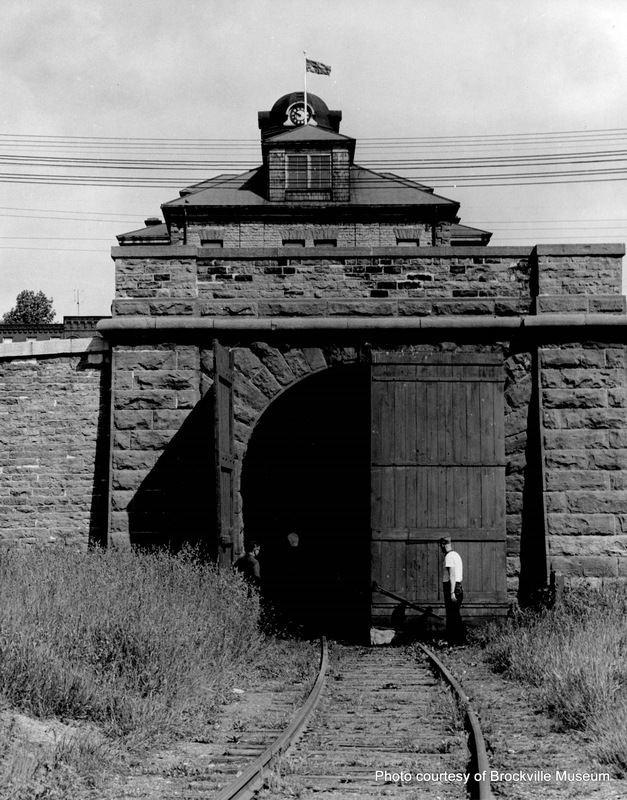 The tunnel, with its large wooden doors, forms a unique monument in Brockville, and is of distinct interest to both the citizens of the area and to visitors. 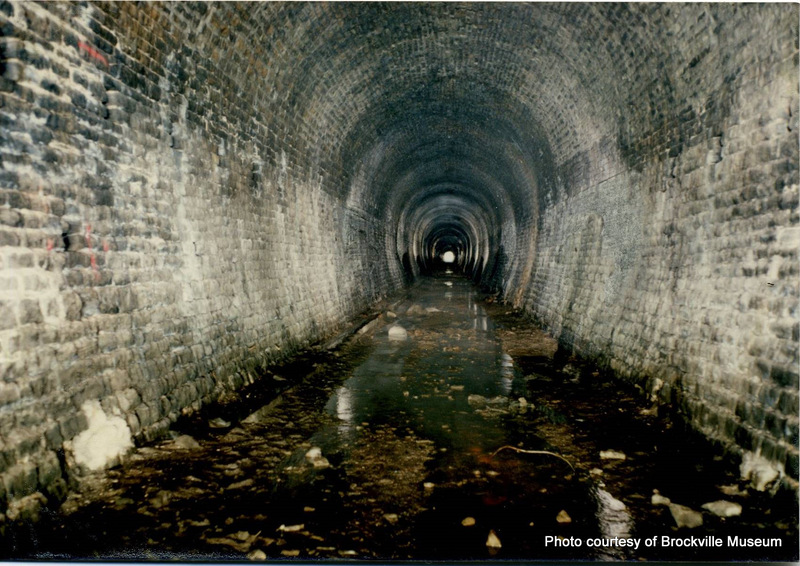 More information on the Brockville Railway Tunnel can be found on their website here.